What Is Or Was An Exterminator? When Did This Term Originate And When Did It Become Outdated? This year (2018), I am entering my 50th year in the pest management industry. 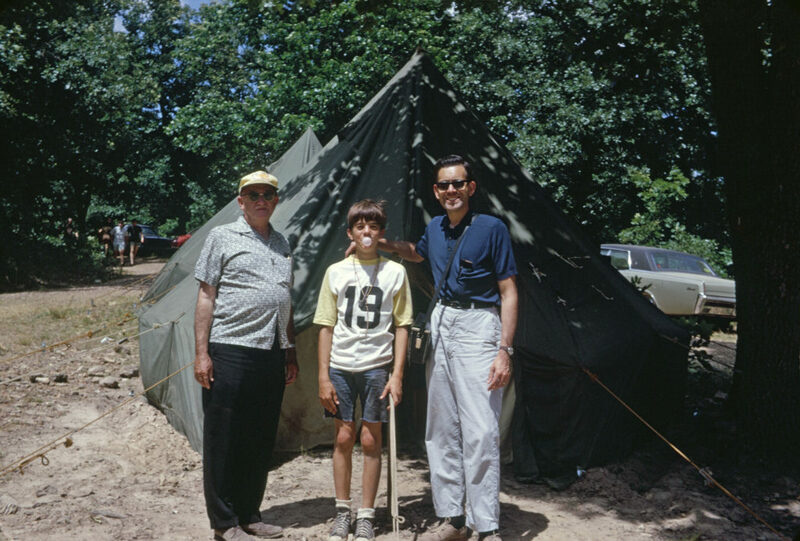 As a 14-year-old high school freshman (1969), I began working for my grandfather, L.R. (Reggie) Gunter in the summers and holidays as in exterminator in Kansas City. Not yet able to drive, I worked as a helper to Harold Slaughter, who was Reggie’s first employee. This was in 1969, a time that preceded FIFRA, which was the first major regulation of pesticides for the pesticide industry. FIFRA stands for Federal Insecticide Fungicide Rodenticide Act. Although FIFRA technically began in 1947, it went through major renovations in 1972 and has had several revisions since. 1972 is the year when the pest management industry thinks of the foundation for pest control regulation. For more information on the history of the pest management industry, go to https://extension.psu.edu/a-short-history-of-pest-management. ^^ This article was written by Jerome Goddard, who is considered one of the best researchers in the pest management industry. Back in 1969, all pest management professionals (PMPS as we call ourselves today) were commonly known as exterminators. Although, my grandfather called his company “L.R. Gunter, the Bugman” from 1950 to 1963, he changed the company name to ”Gunter Exterminating Company, once he hired his first employee (Harold Slaughter). He changed the name for two reasons: 1) “exterminator” was a relatively modern term at the time and “Bugman” was considered passé and not very professional in 1963. 2) L.R. Gunter the Bugman, was a singular description of his company, but he hired Harold in around 1963 and also had other summer employees who help out in the busy season, including myself, my older brother and a few other summer employees. So, he needed a new name to reflect the growing company. As the industry evolved over the years, I became acquainted with owners of pest professionals all over the United States at the annual Pest Convention. I began to see a gradual shift from “Exterminator” to Pest Management Professionals around 1985, and around 1990, we formally changed our name from “Gunter Exterminating Company” to Gunter Pest Management. This reflected the fact that we don’t just “exterminate” pests. We also inspect, exclude, deter, monitor for pests. Thus, we manage pest problems and come up with solutions to eliminate and control them. 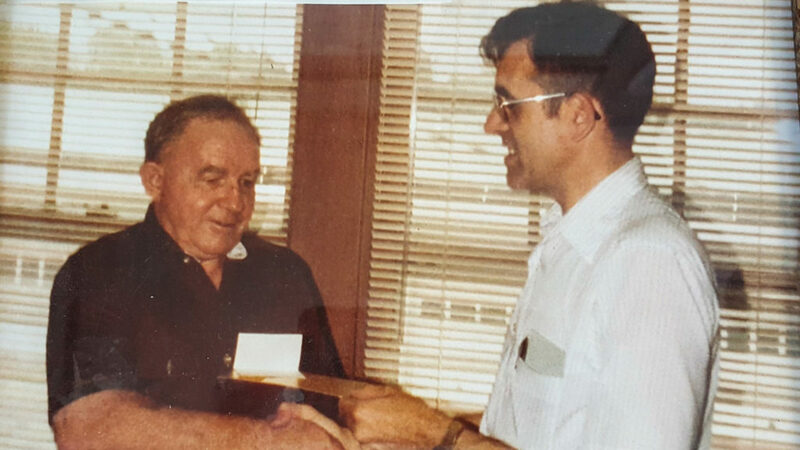 Current CEO and past president of Gunter, Norman Besheer, with the first Gunter employee (outside of the Gunter family) Harold. Harold is retiring from a career at Gunter in this picture. In 2009, we got into the lawn treatment business in Kansas City, which includes fertilization, weed control, grub and turf insect control, aerating and seeding. 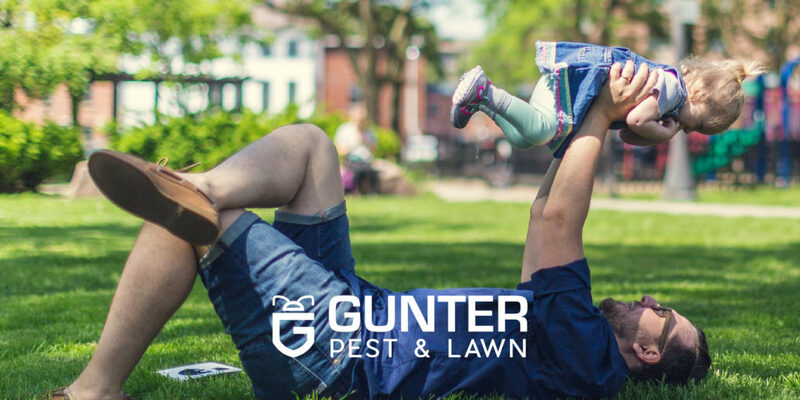 So now, we are officially Gunter Pest Management, but we are commonly known as “Gunter Pest and Lawn” to better describe the growing segment of our lawn division, which increases approximately 20% per year. 1950: Gunter Pest was then called “L.R. Gunter, the Bugman”. Extermination was not yet a popular term. Actually, pest control, in general, was just barely sprouting up. 1963: “exterminator” evolved into a modern term at this time. “Bugman” was considered passé and not very professional in the mid-sixties. 1963: Business was growing and Mr. Gunter (grandfather of the current president) changed the company name to ”Gunter Exterminating Company once he hired his first employee (Harold Slaughter) in a re-branding effort to reflect the company growth. 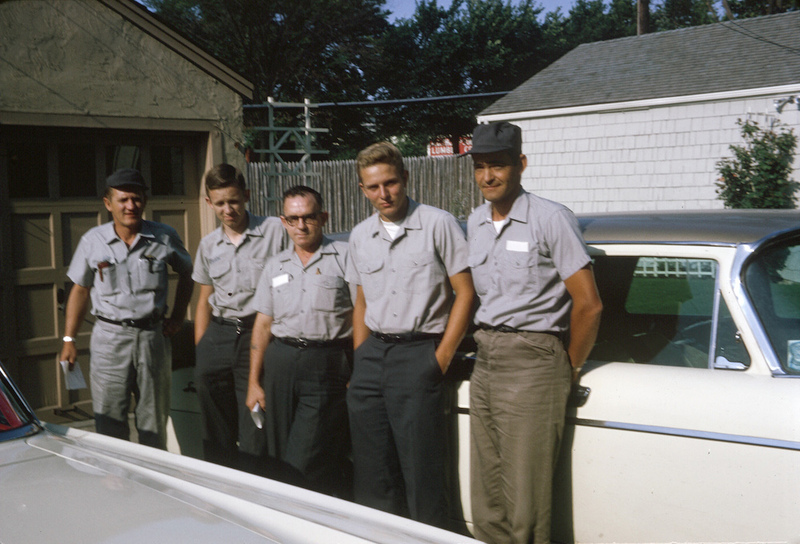 1969: All pest management professionals (PMPs as we call ourselves today) were commonly known as exterminators. Original Gunter Employees – aka “Kansas City Exterminators” in Waldo, Kansas City – back when Reggie Gunter owned the company and lived in Waldo! 2009: Began referring to ourselves unofficially as Gunter Pest and Lawn after we branched into the lawn treatment business – which includes fertilization, weed control, grub and turf insect control, aerating and seeding.